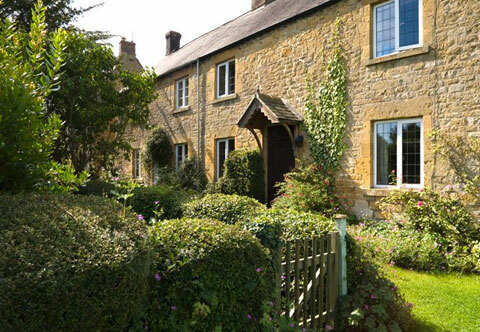 Yew Tree Cottage is a charming Cotswold stone period cottage, set in the beautiful village of Willersey which was the winner of the 'Cotswold Life' Village of the Year 2005. Dating from approximately 1850, this is an ideal family retreat set behind a pretty front garden with mature trees and shrubs overlooking the attractive village green and duck pond. Mallards and their offspring can be seen waddling around the footpaths and settling in villagers' gardens - a lovely sight. Within a short stroll there are two local inns serving excellent food, a post office and a general store serving most needs including your daily newspaper and freshly baked bread and buns! Sitting room with an open log fire, exposed Cotswold stone walls and ceiling beams together with TV, video, CD and DVD players. Dining room, a spacious room with pine dining table and chairs. Kitchen fully fitted with oven, hob, microwave, dishwasher, fridge, washing machine and freezer. Bathroom with pine wood strip flooring with bath, over bath shower, wash basin and W.C.
Conservatory leading through to the garden. Attractive rear garden - with secluded lawn, patio and table with chairs.